Medical emergencies like cardiac arrests don’t arise by keeping in mind time and situation. Any place, whether it is a restaurant, theater, office or home can turn into a site of medical emergency within a matter of seconds. During a cardiac arrest, it is crucial that the patient get appropriate medical attention every minute. If time goes by without proper treatment, the damage can be permanent. It is believed that the first few minutes of the treatment are the most crucial one and can certainly decide whether the patient will survive or not. The ACLS course is designed especially for such healthcare providers, who are directly involved in the treatment of cardiac arrest patients. The main goal of the course is to make sure that healthcare individuals are learned enough to handle the patient efficiently for the first couple of minutes. 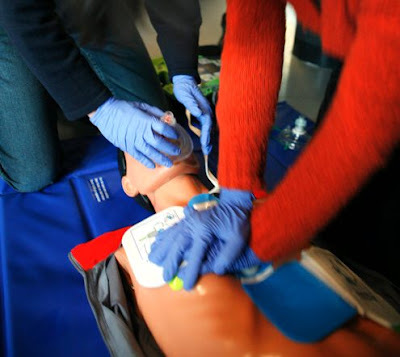 The course not only improves the service quality of healthcare providers, but also ensures that the victim of cardiac arrest or any type of cardiopulmonary emergency gets proper treatment. Most of the healthcare providers are well aware of Cardiopulmonary Resuscitation (CPR). However, ACLS take these skills to the next level. Functions like starting intravenous drips, intubation, reading Electrocardiograms (ECG) and defibrillation are included in the course. Moreover, effectual resuscitation of team dynamics is also presented in the course. What all does ACLS course covers? ACLS teach the significance of understanding regular and irregular heart rhythms. The participant will be put in positions where they will be able to recognize arrhythmia before it fully progresses into a cardiac arrest. Most of the ACLS class in San Diego are designed for working professionals and hence offer freedom of choosing online programs. Well, of course, online classes are only theory based, whereas in person course offers a benefit of going through live practice sessions too. No matter which type of course you select, online or in person, none of them will require completion of Basic Life Saving course. Nevertheless, it is highly recommended. The ACLS certification, which you acquired after clearing the examination is not a permanent one and will need a renewal every two years. Also, keep in mind that this certification is only valid for healthcare professionals working in USA. So, if your job requires you to travel, it is ideal to check with the local requirements.